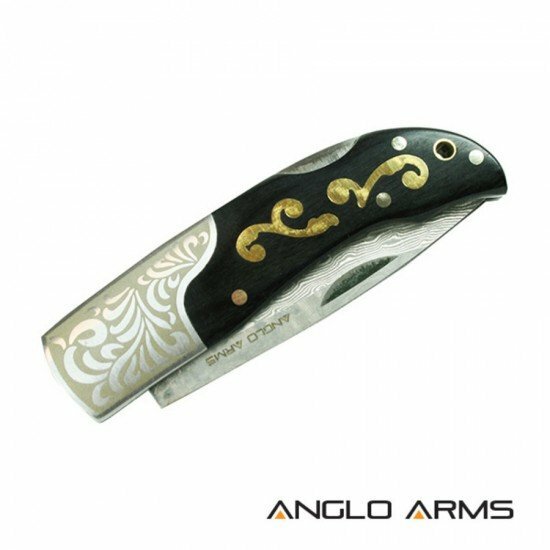 A lock knife with Damascus steel blade, steel bolster, black pakkawood handle and display box. 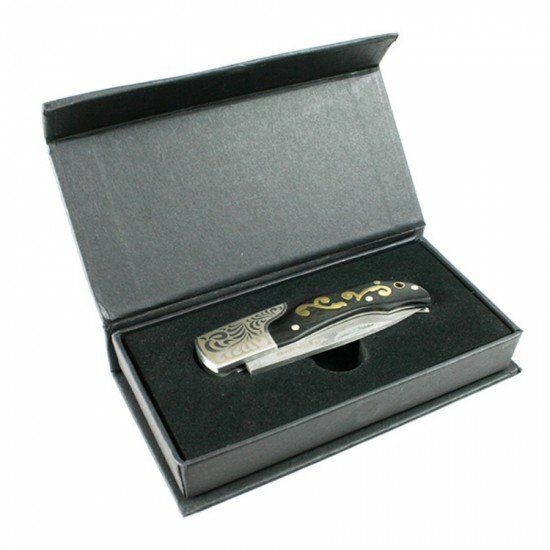 No case, comes in magnetic presentation box. 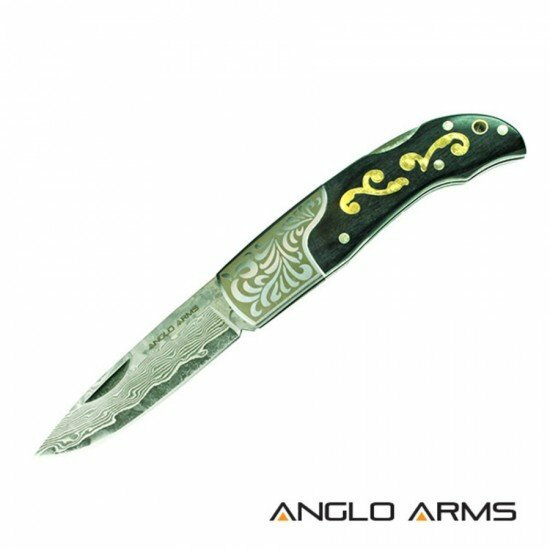 The Damascus blades are comprised of 67 layers and have a hardness of approximately 58-60 HRC. 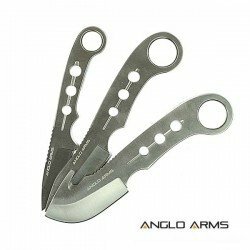 A 3 piece set of sturdy throwing knives with arachnid design. 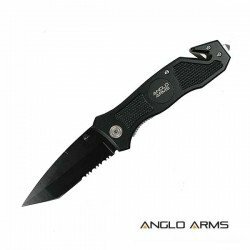 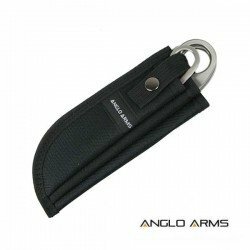 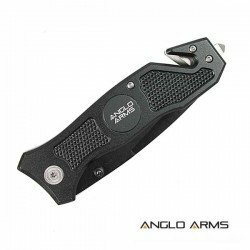 The knives are of 3 different specifications as follows, (in order of descending size, t..